Wandering through Paris's Left Bank one day, poor and unemployed, Canadian reporter Jeremy Mercer ducked into a little bookstore called Shakespeare & Co. Mercer bought a book, and the staff invited him up for tea. Within weeks, he was living above the store, working for the proprietor, George Whitman, patron saint of the city's down-and-out writers, and immersing himself in the love affairs and low-down watering holes of the shop's makeshift staff. Time Was Soft There is the story of a journey down a literary rabbit hole in the shadow of Notre Dame, to a place where a hidden bohemia still thrives. 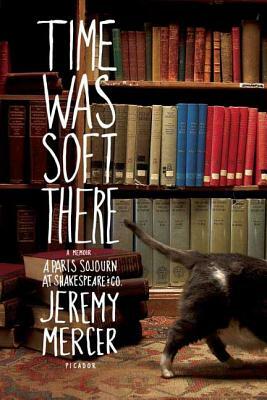 Jeremy Mercer is the author of Time Was Soft There and crime books, and he is a former writer for the Ottawa Citizen. He lives in Marseille, France.